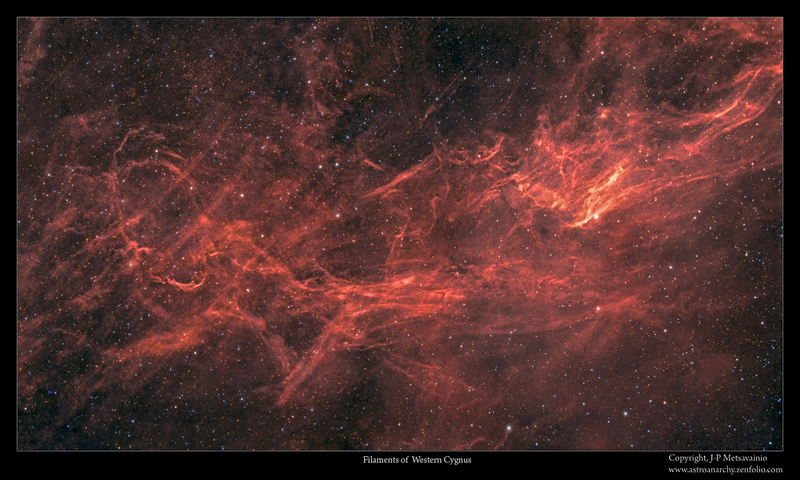 As usually, I reprocessed the two frame mosaic of Cygnus filaments. 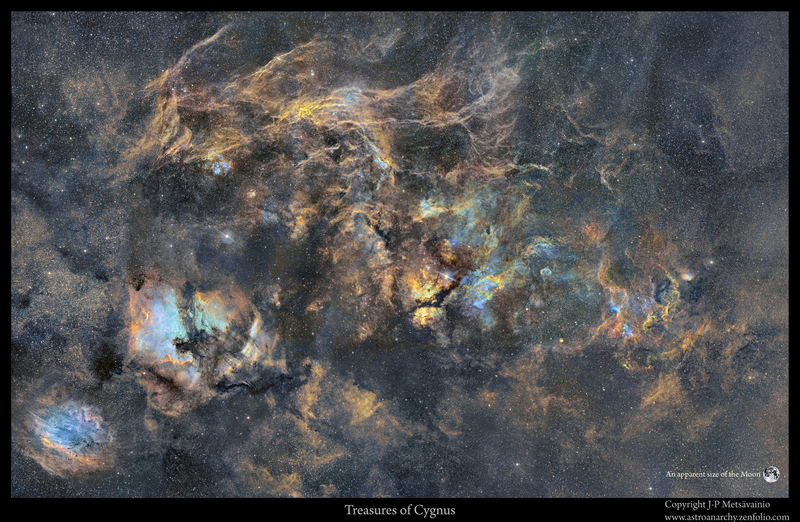 The color balance and stars are better now and more details are visible. This area in Western Cygnus is rarely imaged since it has a low surface brightness and more attractive targets are nearby. An area left from the center is seen in longer focal length photo above. 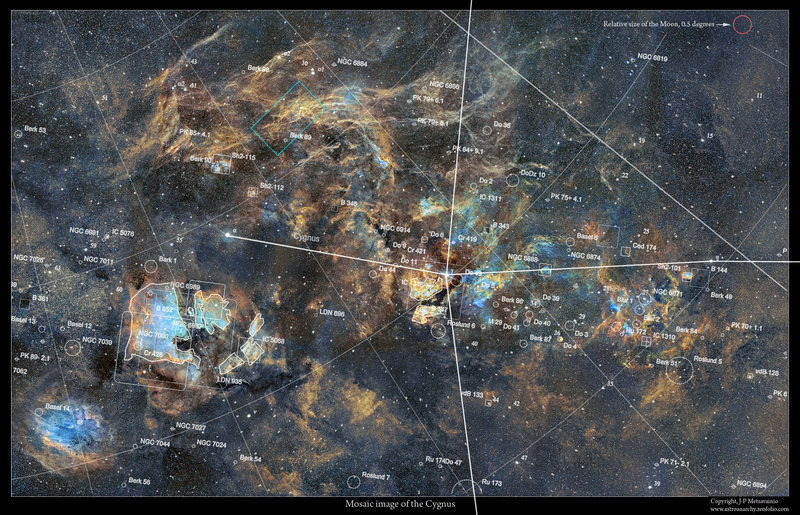 Overlaid with a Cartes Du Ciel screenshot.